As you prepare to create your next eLearning course, plan for ways to involve learners mentally and emotionally. There are many ways to do that. Some suggestions are offered in this eBook. 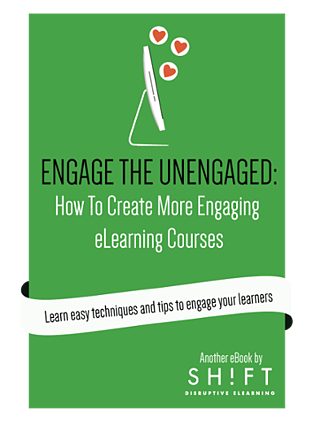 Apply as many as are workable..
How to tell if a student is engaged or disengaged in eLearning? How student engagement works, what it means and what causes it.